INVITATION FROM CROATIAN FRANCISCANS With praise and thanksgiving to Almighty God, Croatian Franciscan Custody of the Holy Family joyfully invites us to attend the ordination of Br. Antonio Musa, OFM for the sacred order of diaconate, through the imposition of the hands and the invocation of the Holy Spirit by Most Reverend Alberto Rojas, Auxiliary Bishop of Chicago. Ordination for diaconate will be celebrated on Thursday, December 14, 2017 at 6:30 p.m. in St. Jerome Croatian church, at Princeton. Reception will follow in the Big Hall. Please, let us know if you are able to join us for this joyous celebration: email: chicagoofm@gmail.com, or phone: (773) 536-0552. Fr. 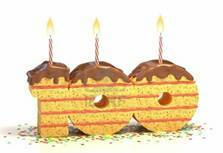 Častimir Timothy Majic passed away quietly after 102 years and 25 days, or 37, 280 days of his earthly life. Monday, February 8, 2016. His body will be waked at St. Jerome Parish - Sv. Jeronim - Chicago, 5-7 pm., followed by the Funeral Mass at 7 pm. Tuesday, February 9, 2016. He will buried with his other Franciscan brothers at Holy Sepulchre Cemetery at 10 am. Fr. 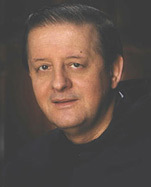 Joe Cuic 1947 - 2014 - Our brother Fr. 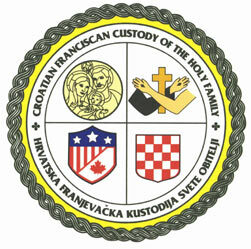 Joe Cuic (born 1947), member of our Croatian Franciscan Custody died suddenly in his Parish in London, Ontario, Canada. He served as Associate Pastor at St. Jerome’s in Chicago in 1980. The Vigil service will be in St. Jerome's Croatian church on Monday, June 23, 2014, starting at 6:00 PM. Funeral Mass will be the following day June 24th at 11:00 AM. Thursday, January 9. 2014 - Fr. 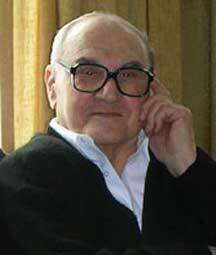 Častimir Majić’s 100th Birthday Celebration, Mass at 6 pm at St. Jerome's on Princeton, and then a celebration in the school hall. For a hundred years, we Franciscans have been serving the parishes of the USA and Canada. We founded and led many parishes, giving our lives to those who came to us and to whom we were sent to serve and to bring the Good News of Jesus Christ. Francis of Assisi was always an inspiration on how to live our lives in giving of ourselves unselfishly. To bring Christ always meant to bring peace. To us that is always a gift and grace. Working in many cities throughout this great continent, we knew that our mission would always be to care for people with great love. This also meant taking care of our brother Franciscans: young men on their way to the priesthood and our older brothers on their way to eternity. We wish to continue the same mission: caring with love and giving of ourselves to the end. That is why this is the first time we are reaching out to you and asking for your help with this mission so that we can continue to serve all of you and your families for years to come. As we approach the Feast Day of our founder, St. Francis, a man who for eight centuries has been changing the world: from hatred to love and from darkness to light, we ask you with humble hearts for your help, for your donation to our Franciscan mission, so that we may continue to care for our brothers and especially to continue caring for and assisting those in need. We begin this annual appeal in the spirit of humility and gratitude. We are grateful for your gifts, your love and your dedication to our Franciscan mission. Click here for PDF version of letter!